Weather proof, stickers/decals for your car, guitar, van, or more. 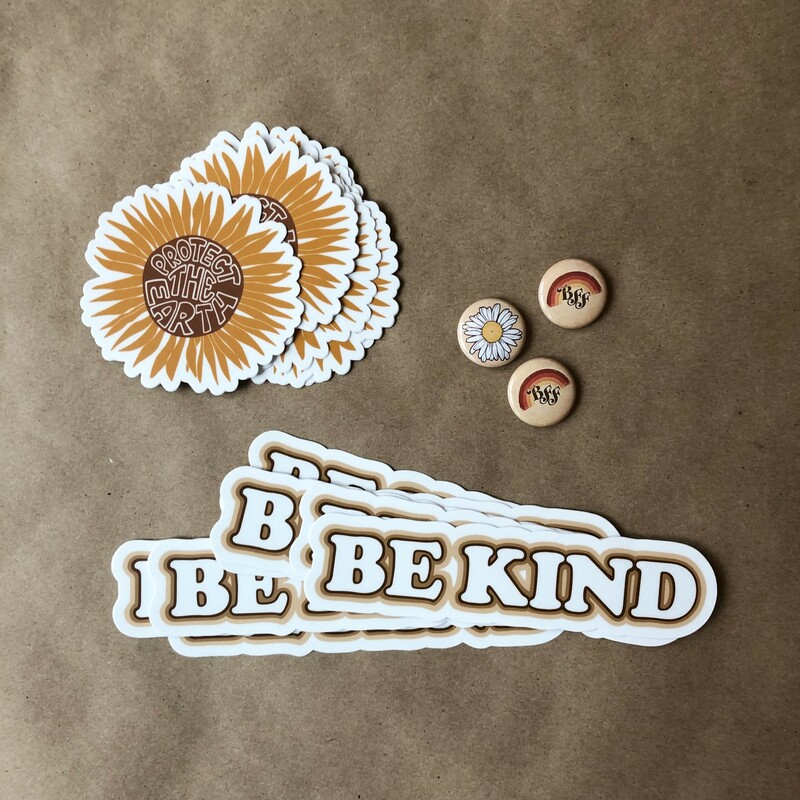 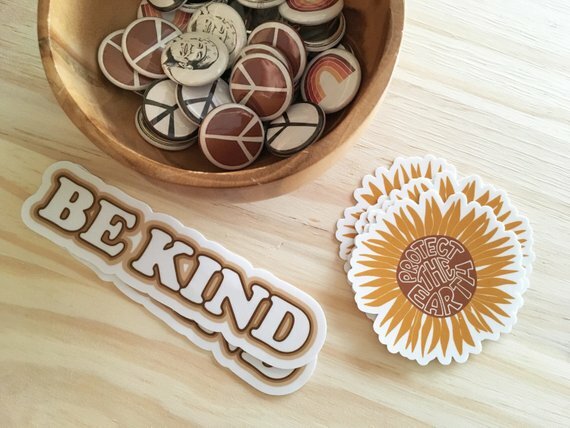 These groovy stickers will keep on truckin’ rain or shine, giving your water bottle, laptop, or wherever else you may want to stick one, a little love. 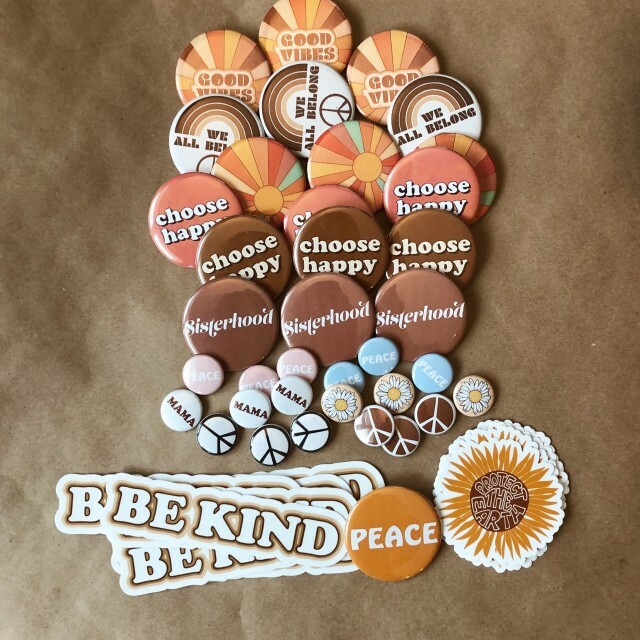 Collect these along with the good vibes buttons!